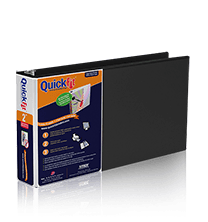 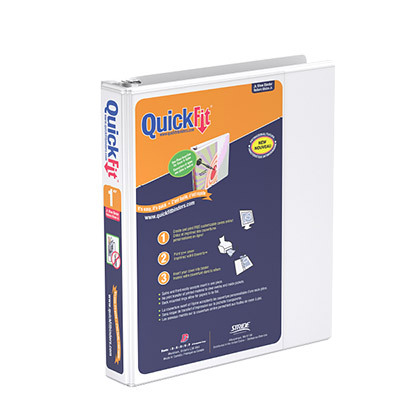 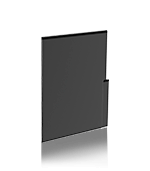 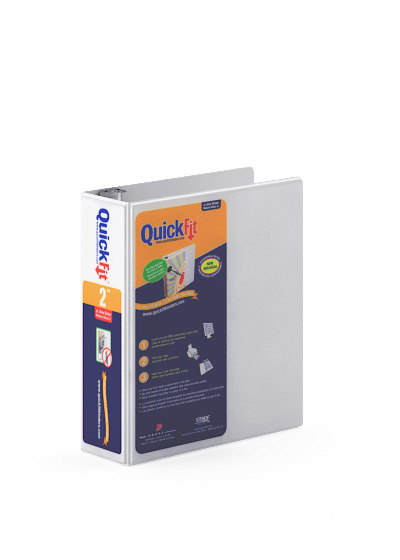 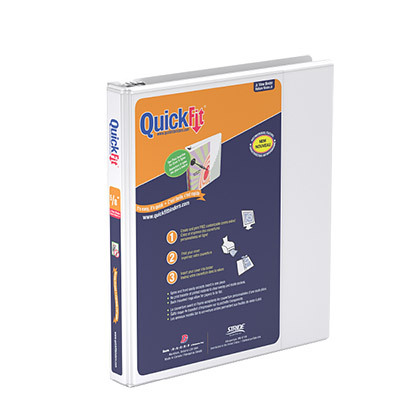 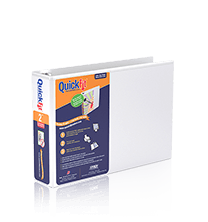 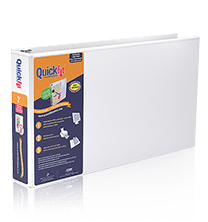 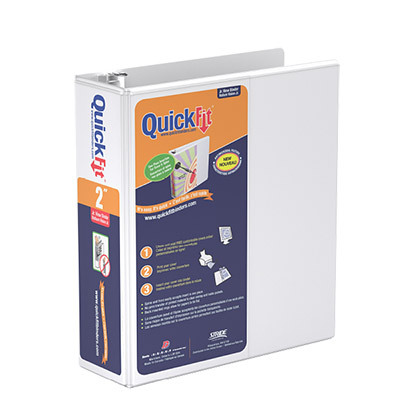 The QuickFit® Jr. Binder, available in white and in round ring format, is ideal for Employee Handbooks, Product Manuals and Training Manuals. 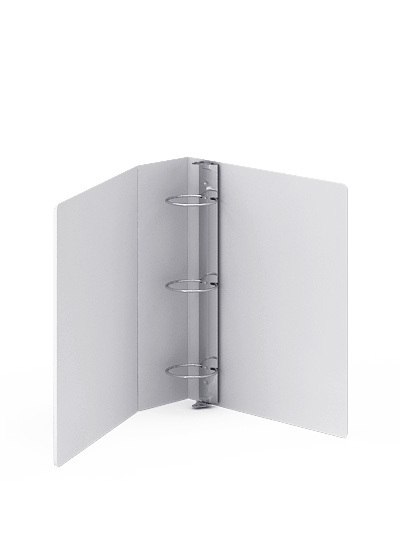 Space saver; fits easily in desk drawers and on bookshelves. 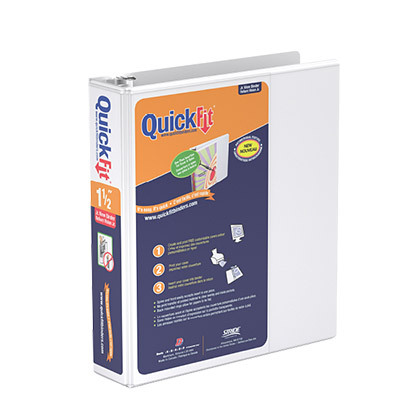 Unique overlay design for 8 1/2" x 5 1/2" documents. 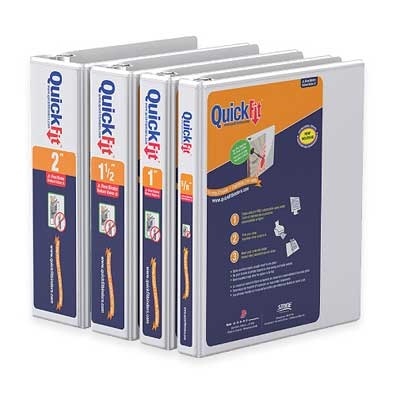 Available in sizes : 5/8", 1", 1 1/2", 2"